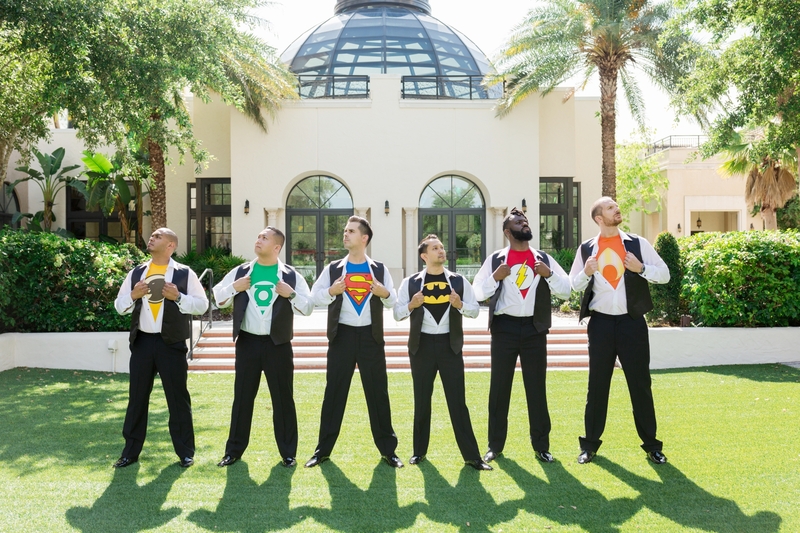 Today’s post is all about our men – it’s the Groom’s Guide to Weddings! We all know the bride gets the most attention from the second she has an engagement ring on her finger. That may distract from the fact that there are so many details to remember when it comes to the groom and his guys. We’ve put together a list of 4 things (and some honorable mentions) to remember that are all about the guys. It’s your time to shine, gentlemen! There are two times these gifts come in handy. Here is one of them. You get engaged and are planning how to ask your girls to be your bridesmaids. How do you ask them? Usually you give them a little something in the process. Some grooms are doing the same. Get the guys together and have them unwrap a neat flask, engraved pocket knife or whisky cubes with a note asking them to stand by your side. The other time these gifts come in handy is the week of the wedding. On rehearsal night (if any sooner they might lose them! ), give the guys their gift to show your appreciation of them spending your day with you. Brides, do you want them to all have matching tie clips, cuff links, musky cologne, etc.? Now is your chance to give them what they need to wear. Shop Groovy Guy Gifts https://www.groovyguygifts.com/ for some great ideas and unique customized gifts! 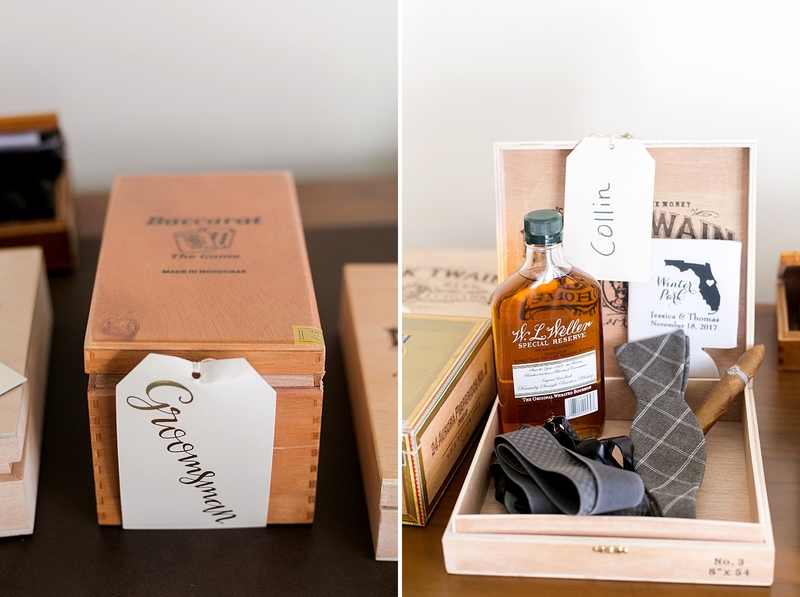 Jessica and Thomas spoiled their groomsmen with these specialty gift boxes! Kristen and Dobbs put together these groomsmen “kits” for their guys! 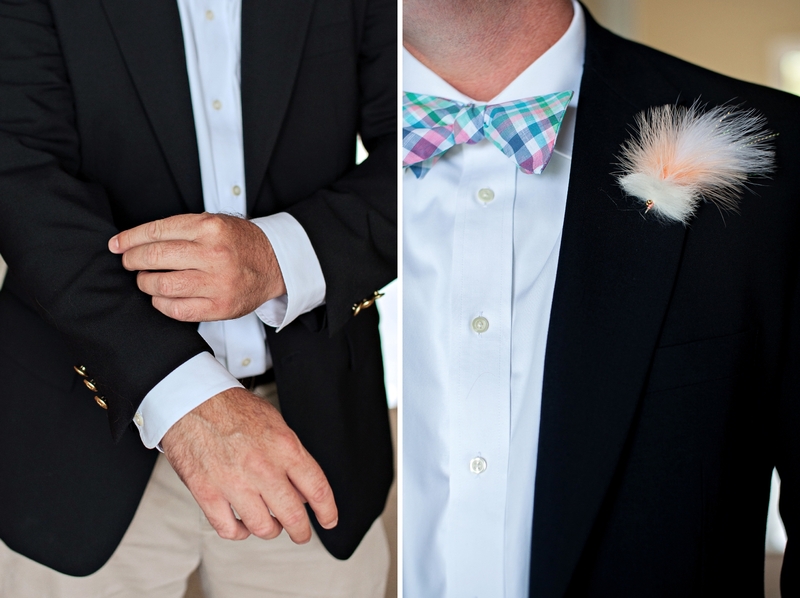 Boutonnieres are a simple way to tie the vibe together. Generally, it is made of a flower or flowers from the bride’s bouquet. 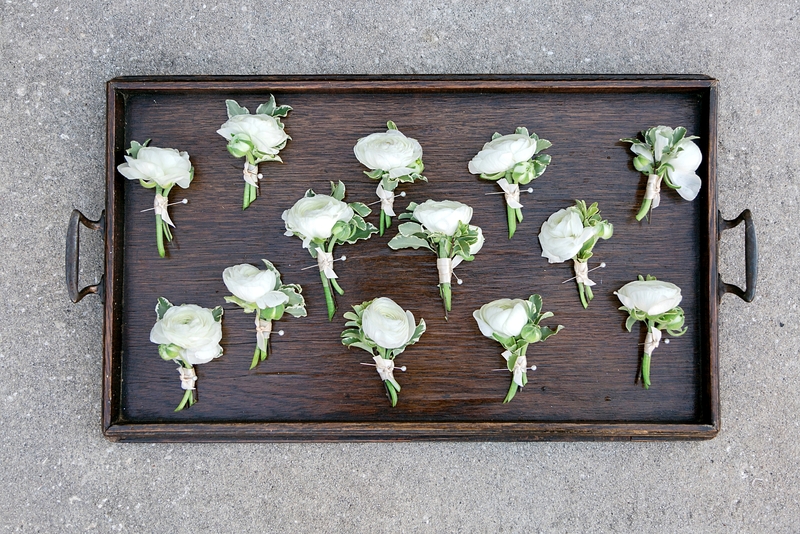 The options are limitless, but here are a few trends that you should look out for in 2019.One way to keep the groomsmen smelling lovely is to use herbs in their boutonnieres. Sage, thyme, lavender, and olive leaves are all ways to give the bundle a natural, rustic feel. Mixed with flowers, herbs add fullness and texture. Another idea that is becoming popular is berries. 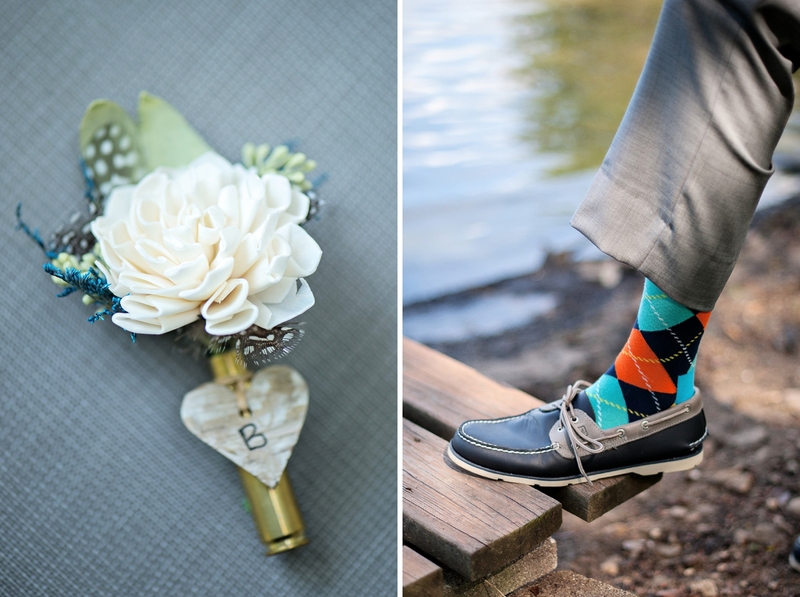 They are whimsical and especially appropriate for a pop of color in winter weddings. The succulent craze has taken off as well. It just makes sense. They need little-to-no attention to keep them looking perfect! On the day-of, the bride and her bridesmaids have a full day of appointments. The guys may want to enjoy the day on a golf course or “nerding” out together, but don’t let them forget their grooming. 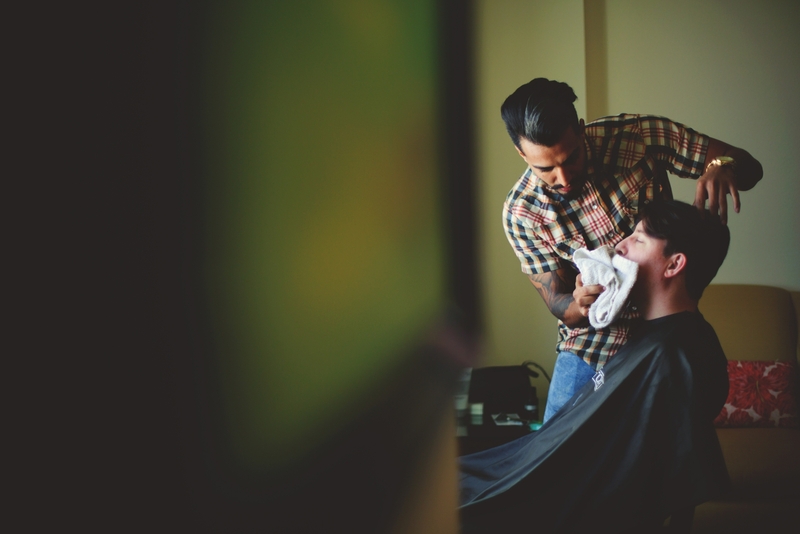 Book the day for a neat barbershop in town or line up an expert barber to come to the hotel and give them all haircuts that day. Does anyone need to tame their beard? Also, facials and massages aren’t just for ladies. Have the guys glowing by your side! What is this adorableness? I borrowed a photo from my own wedding of my husband getting a shave, hot towel and hair style before our ceremony. A hairstylist and barber joined our men at the hotel for a few hours of pampering. I highly recommend hiring a barber to make sure the men are perfectly ready! And yes, they absolutely LOVED it! Thanks to Jason Mize for the photo! Emerald green, subtle patterns, navy with gray, and skinny ties are on the rise. How do you want your guys to show up? Do you want timeless and classic or edgy and fresh? Maybe you want a mix of the two. Here are a few things to remember about their look.First, think about shoes. Do you want them to all have the same shoes? A pair of shiny kicks next to a matte pair just doesn’t look right. Matching their shoes and belt is also a must. Then comes the socks. 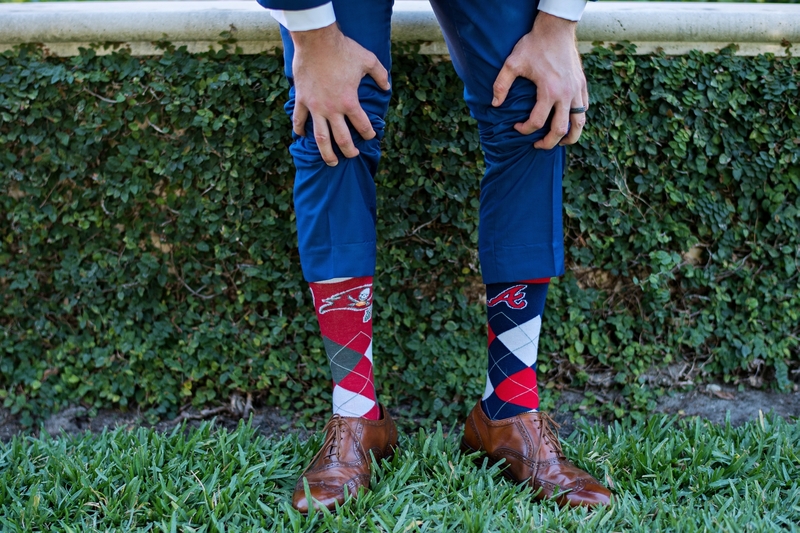 If you don’t suggest something, they could show up with crazy wild socks come wedding day. If you don’t have anything in mind, this is a chance for them to show personality, but make sure it’s reasonable! Mix-matched pocket squares and ties are another simple way to spice it up. Make sure that all of the men have had their suits tailored recently so that no pants rip and no buttons pop on the big day. 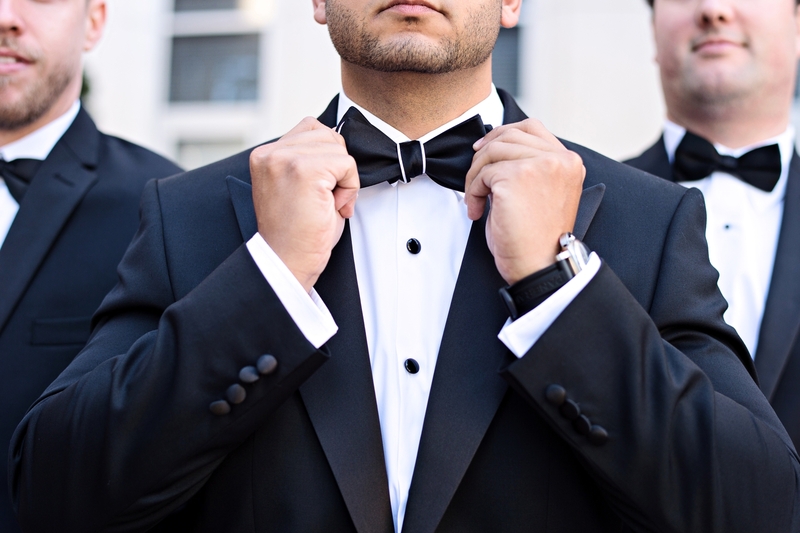 Personal style should play as much a role in the groom’s attire as in the bride’s! 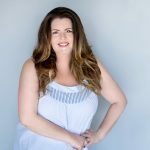 I listed some of our favorite style notes (both new and classic) below! COLORFUL is the new classic. 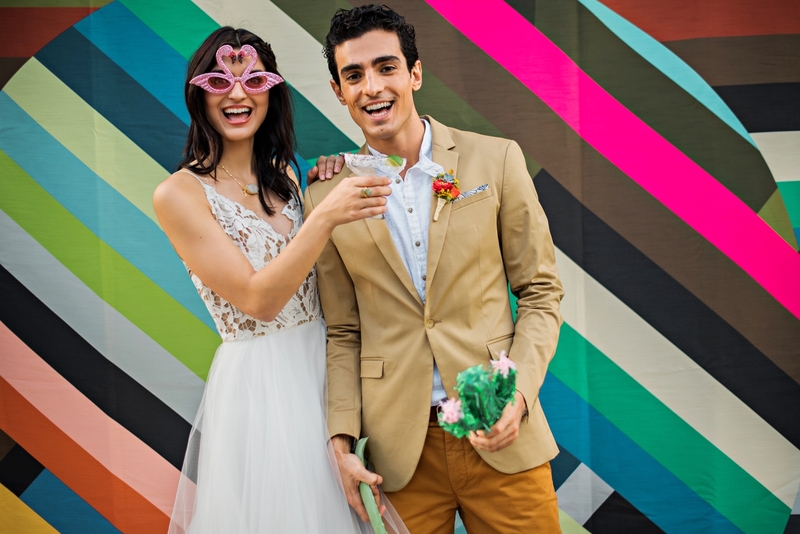 We love the idea of grooms choosing a bright, colorful or patterned suit! 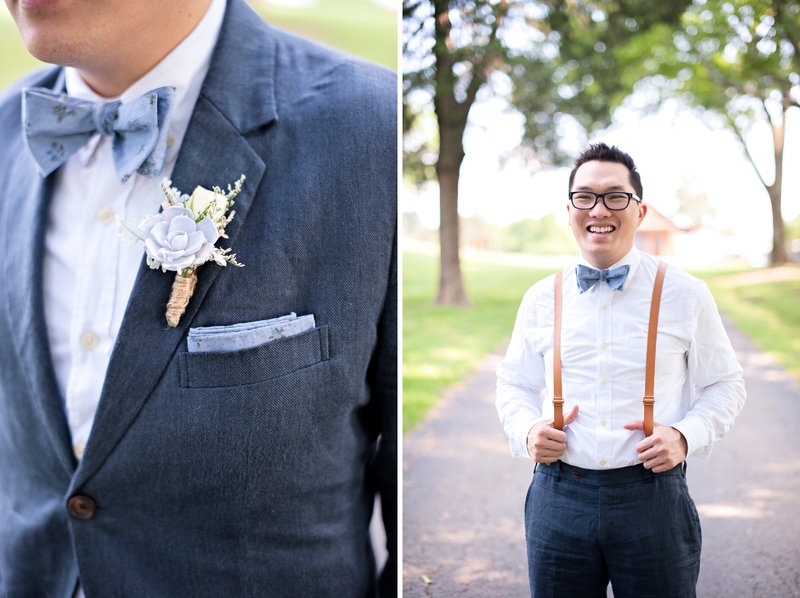 BOWTIES are always in style. 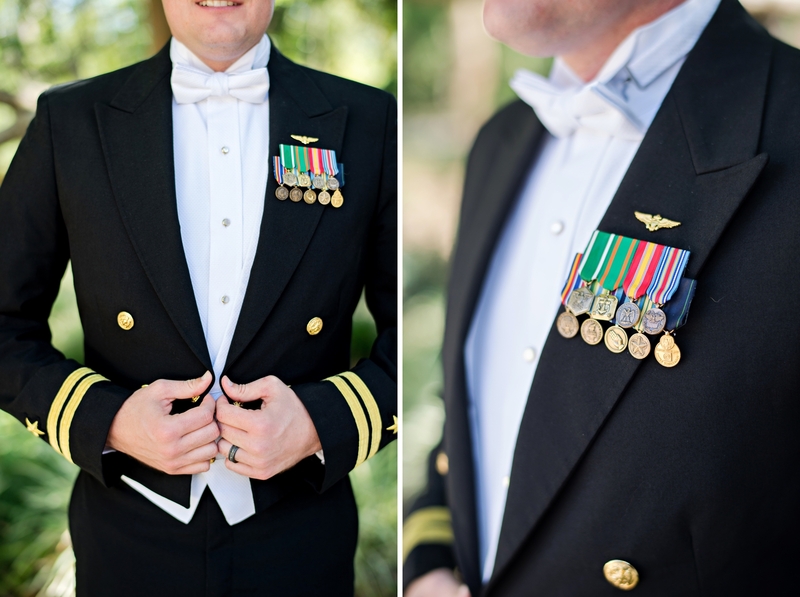 Plaid, paisley, velvet, or uniform, this is a classic addition that never gets old! SOCKS are a “secret” way to share some serious style!